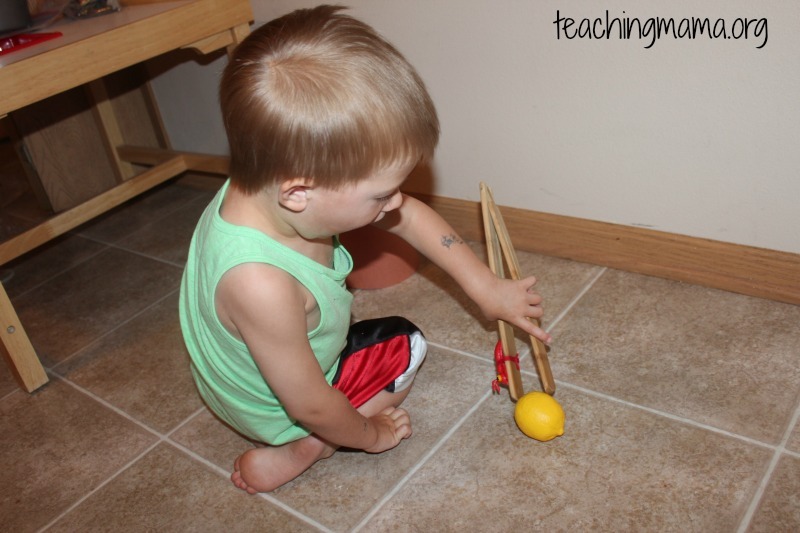 Gross motor skills are the coordination of movements that are required for large movements. 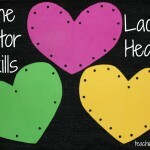 Some of these skills include running, hopping, leaping, pushing, twisting, and more. 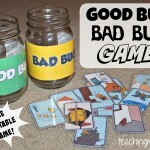 Today I am sharing a game called Bug in a Jug, which focuses on the skills of swinging and catching. In this game, a small plastic bug is tied to yarn and to a jug. 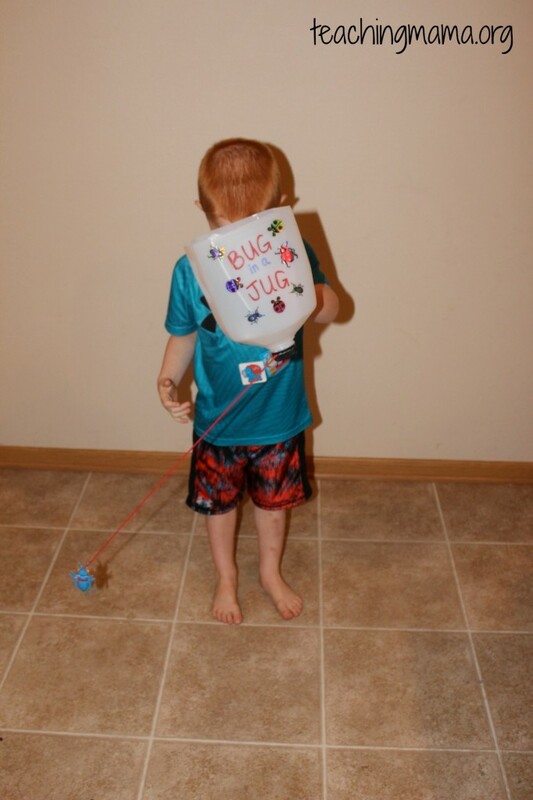 The goal is to swing the bug in the air and catch it with the jug. I’ll explain more later, but first let me share how to make the game. First, cut the bottom off of the jug. Then tie a piece of yarn to the bug. 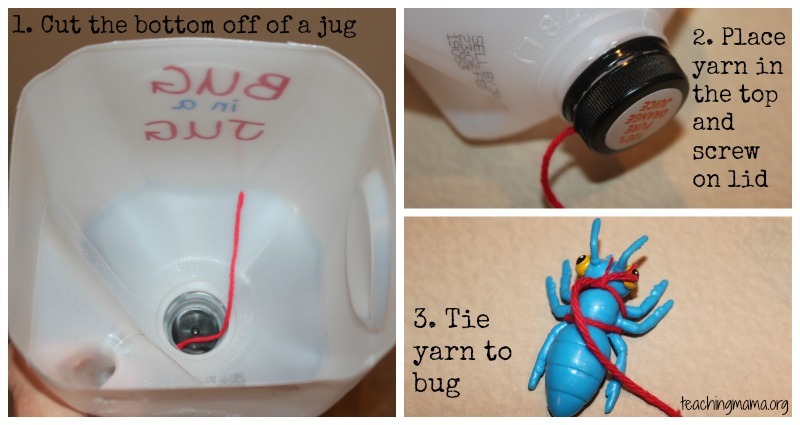 Remove the lid from the jug and place the other end of string in the opening and screw on the lid. 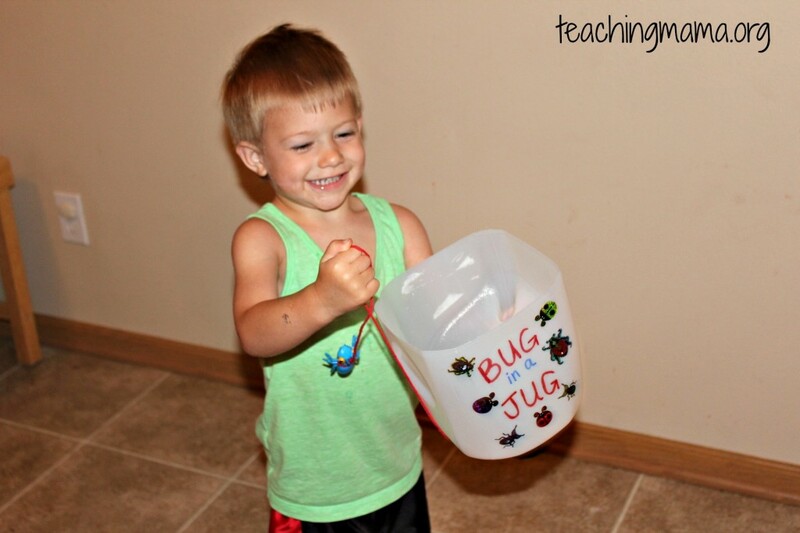 For the activity, the child holds the handle of the jug and swings forward to catch the bug in the jug. It definitely was a challenging task for my kids. 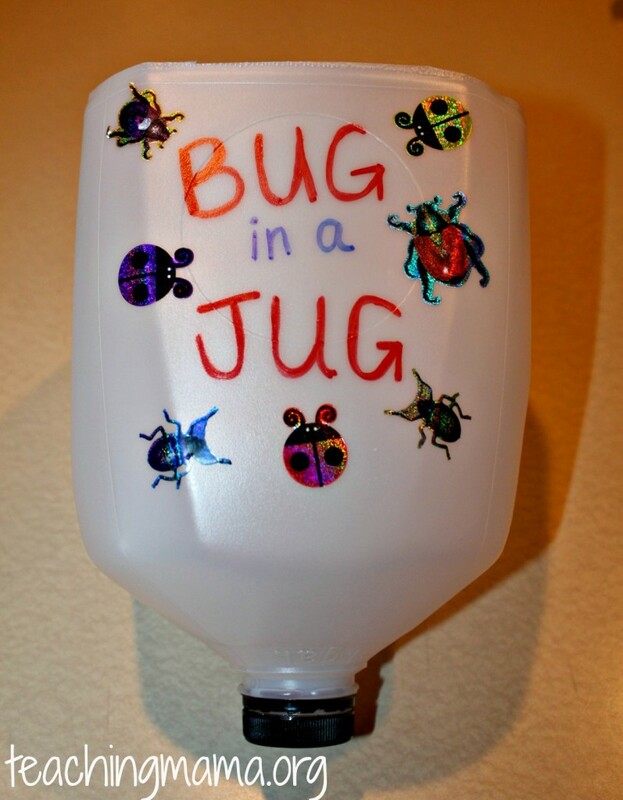 It takes concentration and control to get the bug in the jug. 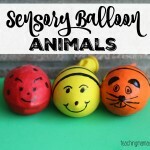 This activity is easy to put together and a great way to practice gross motor skills. 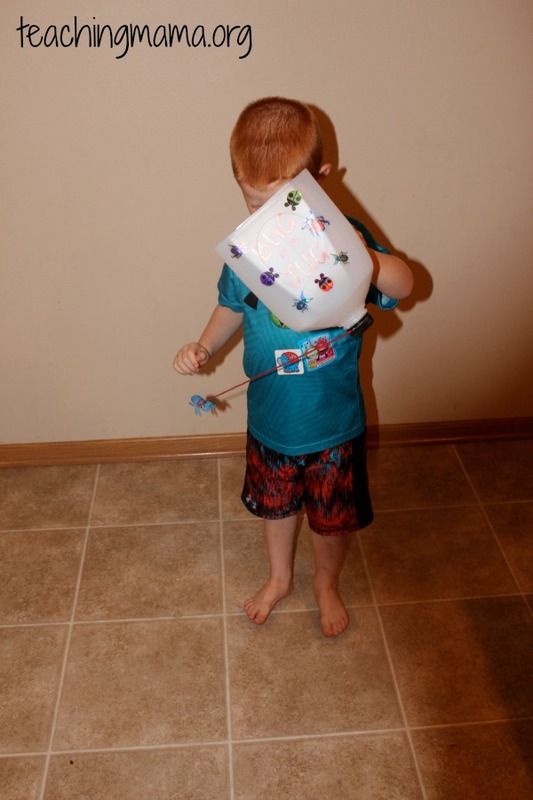 This was challenging for my 2 and 4 year old, so we will be bringing this out frequently to keep working on swinging and catching. *You can make the string longer or shorter. 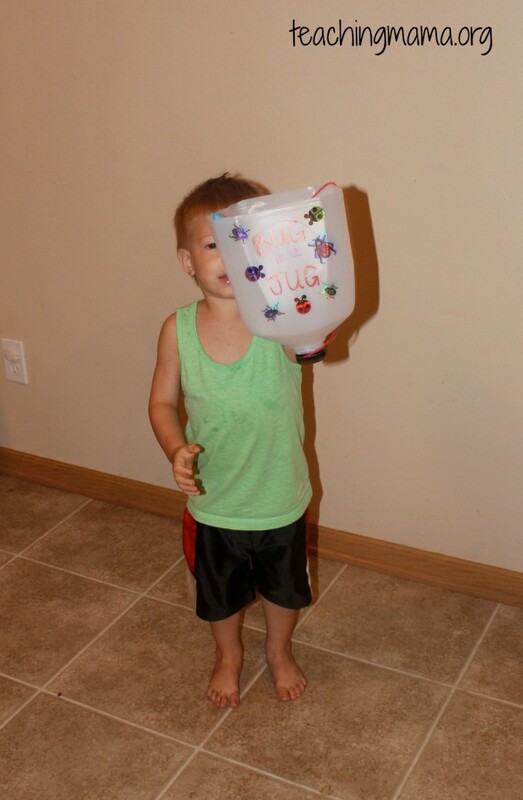 The shorter it is, the harder it is to get inside the jug. For a fine motor activity, we played a game using tongs. 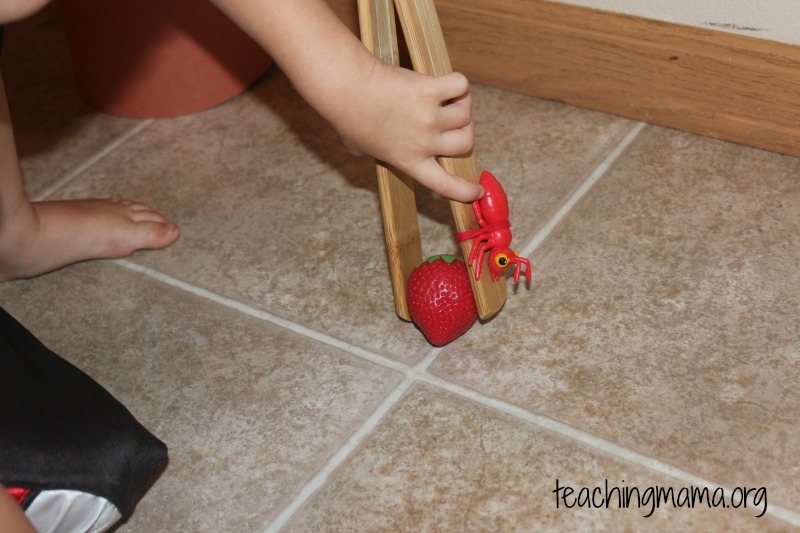 Tongs are a great way to practice fine motor skills. 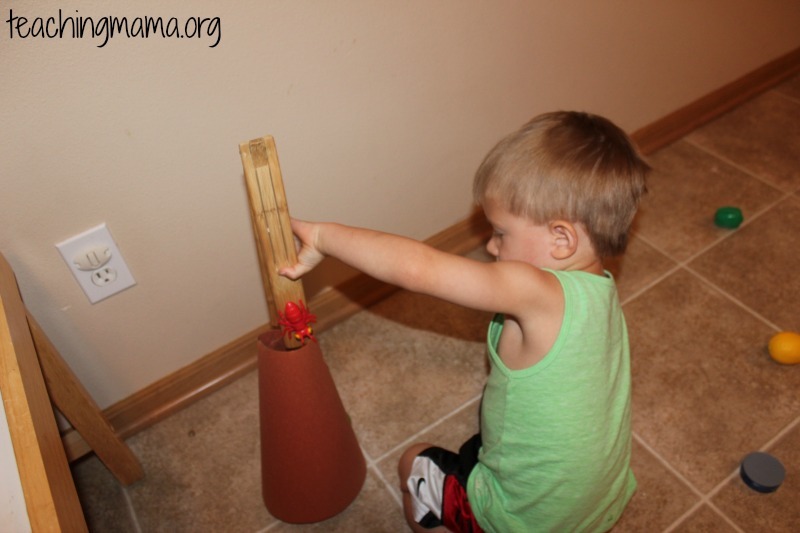 Fine motor skills work on the smaller muscle groups to do tasks that are precise in nature. 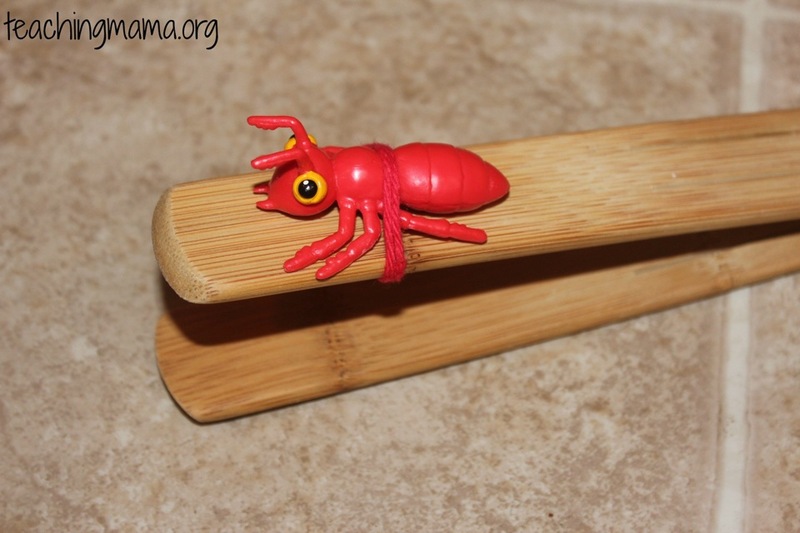 In this activity I tied a plastic ant to tongs and had my child use it to transfer pieces of plastic food from the floor to the ant hill (which was just made of brown construction paper). 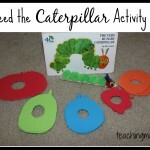 This fine motor activity was great for working on transferring objects from one place to another using the hand muscles. It takes concentration and strength. 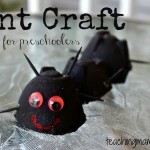 Since we are learning about ants this week, I thought this activity was also a great way to talk about how ants are very strong (they can carry 50 times their body weight!) and how they are excellent at gathering food and storing it for winter. 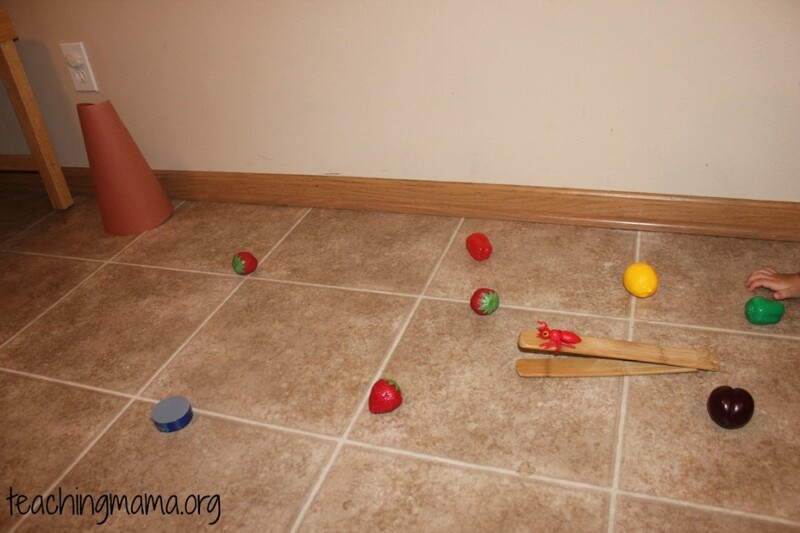 Of course there is so much more to teach about ants and how they gather food, but this was simplified for toddlers and preschoolers. 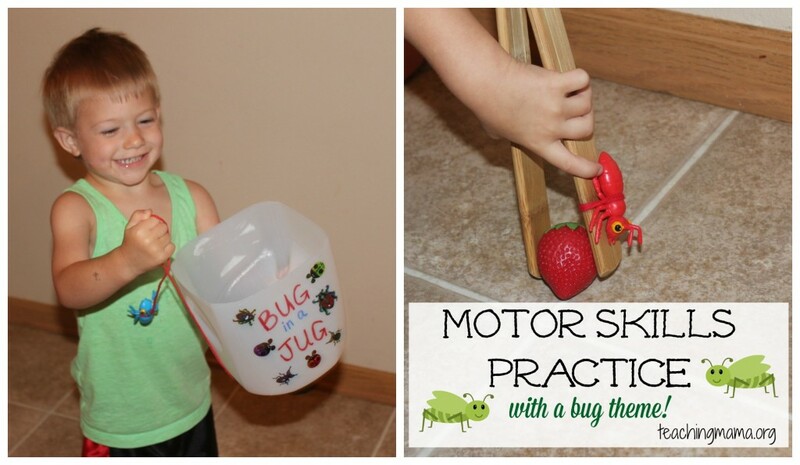 These motor skills activities would be great to work on at home or as a center at a preschool. 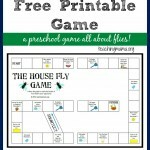 I’d love to hear if you try it out with your kids!